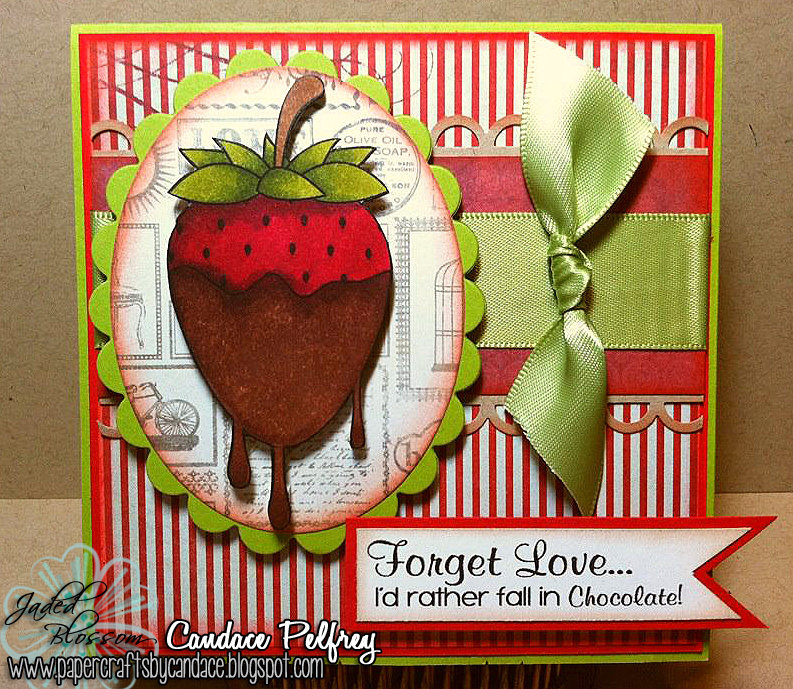 Paper Crafts by Candace: Stamp Release Day 3 - Chocolate Lovers!! Hi Everyone! Its day 3 of the stamp release over at Jaded Blossom! Todays stamp set is.. 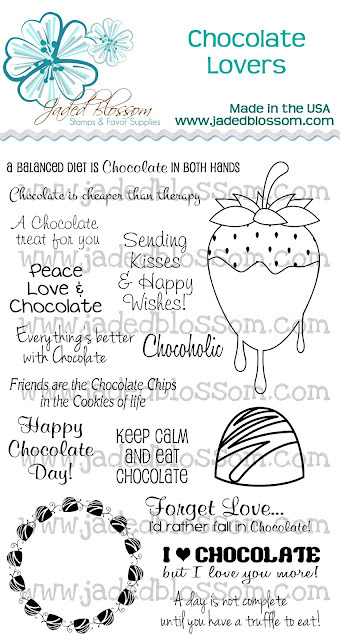 Both the chocolate dipped strawberry and the sentiment are from Chocolate Lovers. I LOVE this stamp set! There are soo many good sentiment to put on little candy treats for anyone!! Make sure you come back tomorrow to see the last stamp set for this release! 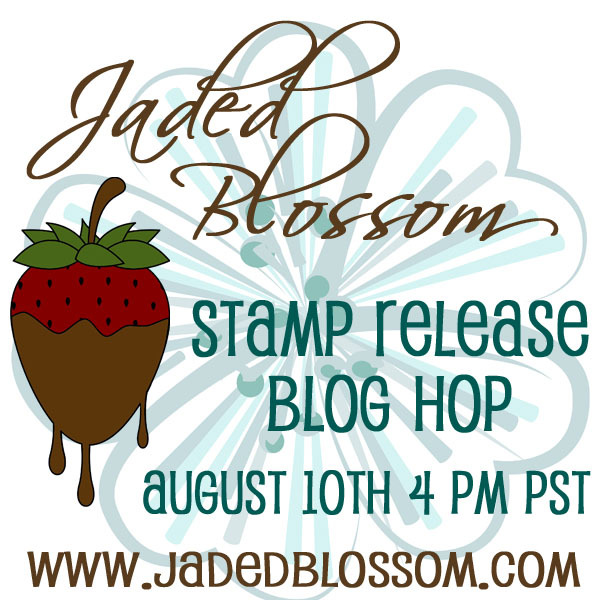 And then come back Friday for the stamp release blog hop! another great new stamp set! Who doesn't LOVE Chocolate??? Love your beautiful card!! This is so beautiful. Love the way you colored that strawberry. The papers you used is just perfect. love the layout of your card! The patterns of the paper are so good together! Love it! Super cute!!!! LOVE all the red!!! Yummy! That looks good enough to eat!!! great card my friend! I love the patterns! hmmm i think i need these stamps too! What's life without chocolate(LOL) and chocolate strawberrie are at the top. 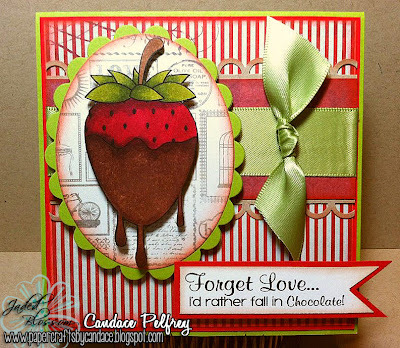 Love your card that strawberry looks good enough to eat!